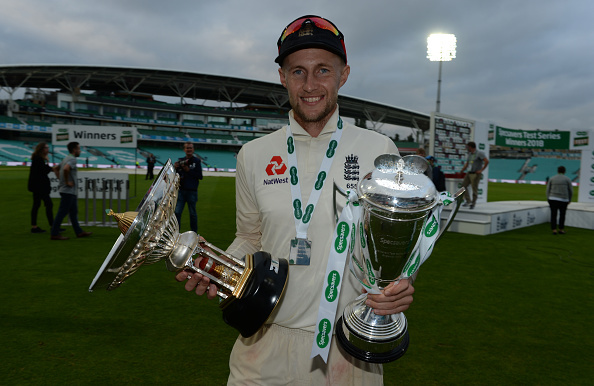 Joe Root praised his star performers in James Anderson and Alastair Cook. The 4-1 series win over India couldn’t have come at a better time for England captain Joe Root, who was under fire for losing the Ashes in Australia. However, defeating the no.1 ranked Test team by this margin gives Joe Root the confidence of his England side doing well on their next assignment. "I think we are on an upward curve," Root told the media after play. "I do think we've shown a lot of improvement this summer. When we've had tough days and tough games, we've responded to that. We are going to have some difficult challenges ahead. This winter is going to pose a lot of different challenges to playing in these conditions but that presents a great opportunity for us to show some growth as a team." England will travel to Sri Lanka next, but without Alastair Cook, who bid goodbye to international cricket with a Man of the match performance at the Oval. 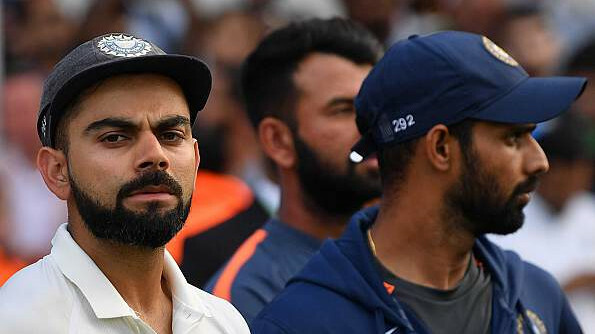 Root also opined about his team’s top order which was exposed brutally by the Indian fast bowlers. "Of course you want to maximize your runs at the top of the order," Root said. "You want to get off to good starts but we've made up for that in other areas. We've been very smart down the order. Guys have stood up and taken that opportunity and made sure we got to totals to give us a chance of winning." Root says that England has every chance of going up to the top of the Test rankings. He said, "Everyone played a significant part and that's what's been really pleasing. Hopefully, now we can kick on. We are going to have different challenges in the winter. We know where we want to get to and that we are not the perfect side but if we can continue with the same drive and attitude, then we've got every chance of getting right to the top." Root was full of praise for his two stalwarts in Alastair Cook and James Anderson. 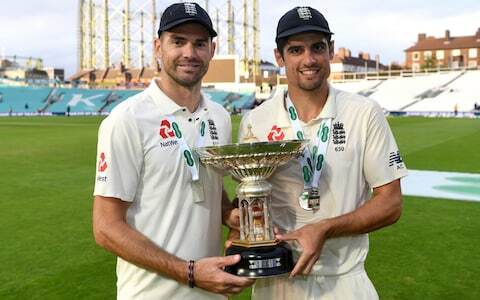 Cook retired from the game as the highest Test run-getter and century maker for England, while Anderson went past Glenn McGrath’s record of 563 Test wickets, to become the highest wicket taking fast bowler in Test history. 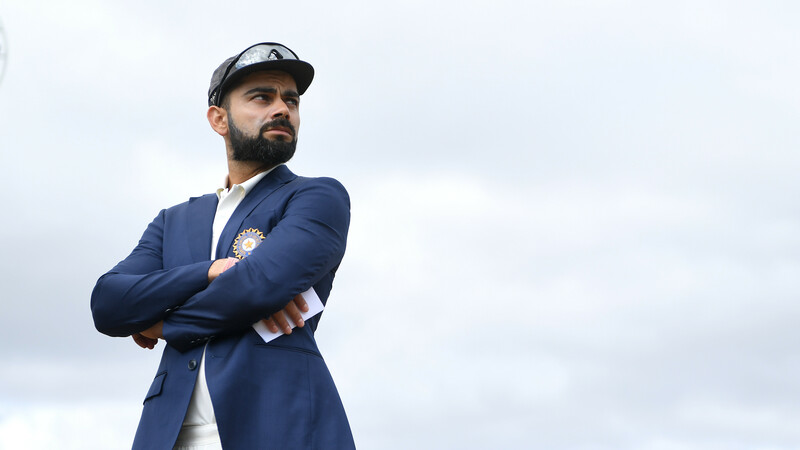 "There have been a few times this week when I've asked if he's sure," the captain joked about Cook. "I'm just so pleased he can go out in real style. For it to finish how it has, is pretty special." "What Jimmy has achieved and what he is capable of achieving still is astounding," Root said. "For him to have taken as many wickets as he has, chasing the big two spinners, is a phenomenal effort. He's probably bowling at his best. Throughout this summer, he's been outstanding. Hopefully, he can keep that going." 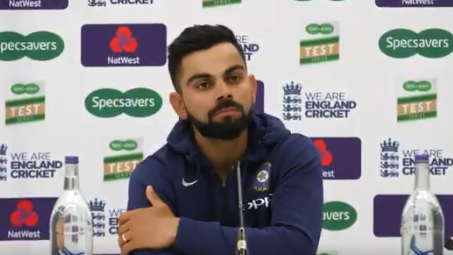 "I said it was written in the stars and for it to turn out as it has, it's fairytale stuff for Alastair to go out like that and Jimmy at the end. For those two guys, who are two really close mates, they're going to miss playing together. It will be different with him not being there but it does create an opportunity for someone else now," Root said. Root concluded, "Everyone was saying to me to get my hands ready, we thought the cricketing gods might give us a caught Cook, bowled Anderson one last time. I can't describe what Jimmy must go through to do what he does. At tea, he said 'I think I'm in for a long spell here'. He's the best cricketer England has ever produced. He's an absolute freak. It's been a pleasure to stand at slip for him."